Entrepreneur Richard Branson is unabashedly famous for his audacious, yet assiduous, approach to life and business. Over the last four decades, he’s built Virgin Group into a multi-billion-dollar behemoth. He’s done it by taking big risks. Trying new things. And bucking the status quo. More importantly, though, he’s a master at building a brand from the inside out. He understands the value of his people, saying, “Clients do not come first. Employees come first. If you take care of your employees, they will take care of the clients.” Given his successful track record, we’re convinced he knows what he’s doing when it comes to creating an internal brand. At least a little! Much to our dismay, though, we find that most companies invest a whole lot more time and money into their external campaigns than they do their internal ones. Often, this leaves an ill-equipped internal communications team stuck holding the bag. Or worse, the company expects the Human Resources department to figure it out. Because we all know that team has the time to focus on building an internal brand in addition to all their other work, right? Wrong. At IronStrike, we make no bones about it. We believe that building a brand from the inside out is crucial to the long-term success of any organization. Sometimes, companies can get by for a short period of time. But the truly sustainable organizations are those that emphasize their internal brand. That’s why we focus on helping organizations develop and implement a strategy that will result in a high level of employee engagement and satisfaction. We’ve said it before. Building your internal brand starts by connecting employees emotionally to your story. Give them something to believe in. To be passionate about. And to rally behind. Connect and engage them in the storyline—and storytelling. Tell them the “why” behind the story. And ask for their regular feedback. Open the lines of communication and invite them to share what they see as positives and negatives. Allow them to embrace the brand by being transparent and honest with them. Make sure they understand the organization’s mission, vision and values and how they personally connect to them. Develop and share the company’s key messages on a regular basis. And be sure to reinforce good behaviors by modeling them yourself. Three different people. Three very different takes on the situation. Now do you see how connecting to a meaningful purpose can be powerful? Which of these three people would you pick to be your employee? Better yet, which one would you want as your brand ambassador? Just as this example shows, when it comes to building a brand, it’s important to help people see how they fit into the bigger picture. Sometime this means getting people engaged by assigning them a specific role to play. Maybe it’s at the highest level as the sponsor of the overall internal communications efforts. Or at another level as a member of the steering committee. Perhaps it’s as a member of a focus group who provides valuable feedback. Or maybe it’s simply as a brand ambassador—someone who supports the brand and its messages through his or her daily interactions with staff and customers. The folks in each of these roles are there to support the internal brand-building efforts. They should champion the brand at every turn. And gather important input about what’s working and what isn’t through casual conversations or more formal surveys, Q&A sessions or town hall meetings. Because these people may have to help remove some barriers, they should also be chosen based on their ability to influence others. Sometimes without holding an authoritative position. So, be sure to arm these folks with strong talking points and support them in their efforts to advance the brand. Branson isn’t the only airline founder to bolster a brand by harnessing the power of his people. Southwest Airlines co-founder Herb Kelleher did it, too. Forbes published this great article that highlights the similarities between the two companies. Both subscribe to a rather straightforward business philosophy: Put people before profit. And like Virgin America, Southwest is known for recruiting team members who will adequately and enthusiastically represent its culture and commitment to a customer-centric experience. Southwest calls it its “warrior spirit.” We call it just plain smart! 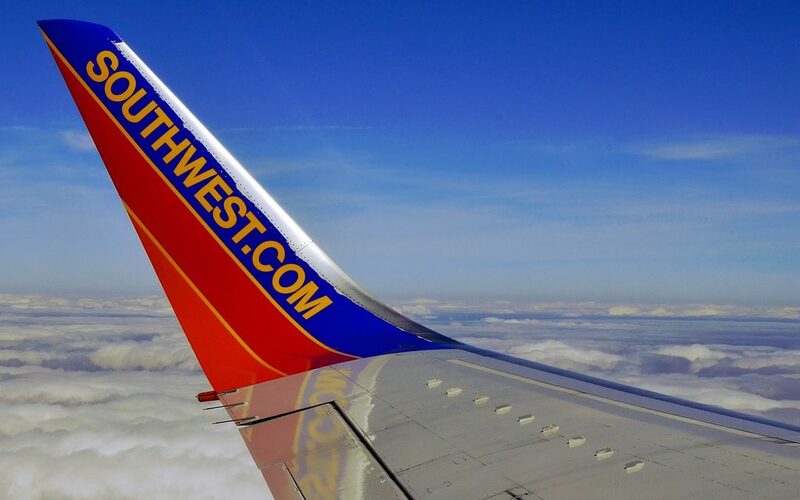 Given Southwest’s pledge to its people, it’s no wonder that it enjoys a much-higher-than-average brand intimacy quotient (BIQ). According to the 2017 MBLM Brand Intimacy Report, Southwest had the highest BIQ at 25.4, a score well above the nation’s other major domestic carriers. This quotient represents the degree to which consumers are emotionally connected to a brand. And you can bet this emotional connection starts from within, with the airline’s employees. It’s no coincidence that Southwest uses the heart as its core brand symbol and is known as “the airline with a heart.” For those of you interested in learning more about the history behind the heart, check out this excerpt from Southwest’s advertising agency, Lippincott. Speaking of brand symbols, another important element in building an internal brand is giving it an identity. Make it real for people. And we don’t mean just slapping an advertisement on the breakroom wall or dropping a one-time memo into someone’s inbox. We mean make it a living, breathing thing. It’s important to point out that your internal brand should complement your external branding and messaging. Not be altogether different. In the case of Southwest, its value statement reads, in part, “We believe in living the Southwest Way, which is to have a warrior spirit, a servant’s heart and a fun-LUVing attitude.” In this single statement, Southwest encourages employees to fight for the little guy and each other while doing everything with gratitude and the right attitude. To us, it’s exactly what consumers have come to LUV about the airline! So, when you think about what kind of identity to give your internal brand, be sure to link it to what you want employees to do and say to your consumers. Encourage employees to embrace all aspects of the brand. Because if they don’t, why should your clients? Arm staff with knowledge and insights and watch what happens. If you listen close enough, you should hear your core company values start to seep into their language, both at work and in their personal lives. This is becoming increasingly important as social networks continue to grow and people are liking, sharing and commenting on all things personal and professional. The line between business and pleasure is indeed becoming blurrier by the day. Once you have an internal brand, it’s time for the organization to internalize it. This, of course, starts with communication. But, to embed a brand internally, it takes more than just a mention here or there. You need to continue making it real for people by living and breathing the brand in all you do. Unfortunately, we often see companies mismanage the rollout of an internal brand. To combat this, we work with clients to develop a full-scale internal branding strategy that starts with the initial rollout and includes components for long-term success. When introducing an internal brand, it’s important that the messages and supporting materials be relevant to employees’ daily interactions in the workplace. They need be able to clearly see how the brand connects to them. And the impact they can personally have on it. Things like brand guidelines and templates can help your staff maintain the visual look and feel of the brand. Brand positioning documents can help you staff better understand the company’s core tenets, like the mission, vision, values and key messages. Company resources such as the intranet and website can be a rich source of information for staff members. A solid onboarding and ongoing training program also helps. While it may be tempting to rely solely on these “static” elements, it’s important that leadership also engage and communicate with staff at a personal level. Regularly and frequently. This includes listening to what team members have to say. You can accomplish this through one-on-one conversations, focus groups, surveys, formalized feedback loops, town hall meetings and many other avenues. This staff reconnaissance can pay off big. For example, it can help you identify resistance issues that may be festering just below the surface. It can also uncover trust issues that may undermine the internalization of the internal brand. One caveat: Keep in mind that not everyone is ready or willing to get on the bus. At one end of the spectrum will be your strongest allies, or advocates. At the other end are your fierce dissenters. Change management guru John Kotter refers to these folks as “no-no’s.” These are NOT the folks you want to waste your time on. Like us, Kotter says to forget them. Instead, focus a majority of your energy on moving those in the middle. These are generally supporters, or as Kotter calls them, skeptics. Some may be stronger supporters, while others weaker. Still, there’s hope for these people. Think of it in terms of a battlefield. Send your strong onto the next fight. Tend to your wounded. And shoot your dissenters. Not literally, but figuratively! Another important element in rolling out an internal brand is recognition and reward. Incentivize people to embrace the brand by recognizing and rewarding those behaviors you want to see more of. We’ve written about this topic before on our blog. The purpose of this often-overlooked practice is to sustain repeated good behavior. It can take on many different forms depending on the person. Some like verbal recognition. Others written. Some like public praise. While others prefer a private compliment. The most important thing is to make sure you have a process in place, and that recognition and rewards are equally doled out. This practice may also help your low- and middle-performers raise their game and keep your high-performers aiming for the stars! When it comes to building your internal brand, remember that your employees are your most important asset. Without them and their support, your external brand doesn’t survive. In the spirit of Branson and Kelleher, companies have a responsibility to their employees. Make their experience as great as the one you want to create for customers, and you’ll have a winning formula. If you need a little inspiration, check out what Branson did for his employees! Want help with building a strategy for success? Contact us today.